If you get behind the wheel only to discover that your car’s battery has given up the ghost — and there’s no one around to give you a jump — you may be able to get your vehicle started by dropping two aspirin tablets into the battery itself. The aspirin’s acetylsalicylic acid will combine with the battery’s sulfuric acid to produce one last charge. Just be sure to drive to your nearest service station. Before you give up all hope of ever getting that sweat stain out of your good white dress shirt, try this: Crush two aspirins and mix the powder in 1/2 cup warm water. Soak the stained part of the garment in the solution for two to three hours. Even those of us who are well past adolescence can get the occasional pimple. Put the kibosh on those annoying blemishes by crushing one aspirin and moistening it with a bit of water. Apply the paste to the pimple, and let it sit for a couple of minutes before washing off with soap and water. It will reduce the redness and soothe the sting. If the pimple persists, repeat the procedure as needed until it’s gone. Soften hard calluses on your feet by grinding five or six aspirins into a powder. Make a paste by adding 1/2 teaspoon each of lemon juice and water. Apply the mixture to the affected areas, then wrap your foot in a warm towel and cover it with a plastic bag. After staying off your feet for at least ten minutes, remove the bag and towel, and file down the softened callus with a pumice stone. Is your dandruff problem getting you down? Keep it in check by crushing two aspirins to a fine powder and adding it to the normal amount of shampoo you use each time you wash your hair. Leave the mixture on your hair for 1-2 minutes, then rinse well and wash again with plain shampoo. Control the inflammation caused by mosquito bites or bee stings by wetting your skin and rubbing an aspirin over the spot. Of course, if you are allergic to bee stings — and have difficulty breathing, develop abdominal pains, or feel nauseated following a bee sting — get medical attention at once. It’s a tried-and-true way to keep roses and other cut flowers fresh longer: Put a crushed aspirin in the water before adding your flowers. Other household items that you can put in the water to extend the life of your flower arrangements include: a multivitamin, a teaspoon of sugar, a pinch of salt and baking soda, and even a copper penny. Also, don’t forget to change the vase water every few days. Aspirin is not only a first-aid essential for you, but for your garden as well. Some gardeners grind it up for use as a rooting agent, or mix it with water to treat fungus conditions in the soil. But be careful when using aspirin around plants; too much of it can cause burns or other damage to your greenery. When treating soil, the typical dosage should be a half or a full aspirin tablet in 1 quart (1 liter) water. Did you drop some raw egg on your clothing while cooking or eating? First, scrape off as much of the egg as you can, and then try to sponge out the rest with lukewarm water. Don’t use hot water — it will set the egg. If that doesn’t completely remove the stain, mix water and cream of tartar into a paste and add a crushed aspirin. Spread the paste on the stain and leave it for 30 minutes. Rinse well in warm water and the egg will be gone. About 10 percent of people with severe asthma are also allergic to aspirin — and, in fact, to all products containing salicylic acid, aspirin’s key ingredient, including some cold medications, fruits, and food seasonings and additives. That percentage skyrockets to 30 to 40 percent for older asthmatics who also suffer from sinusitis or nasal polyps. 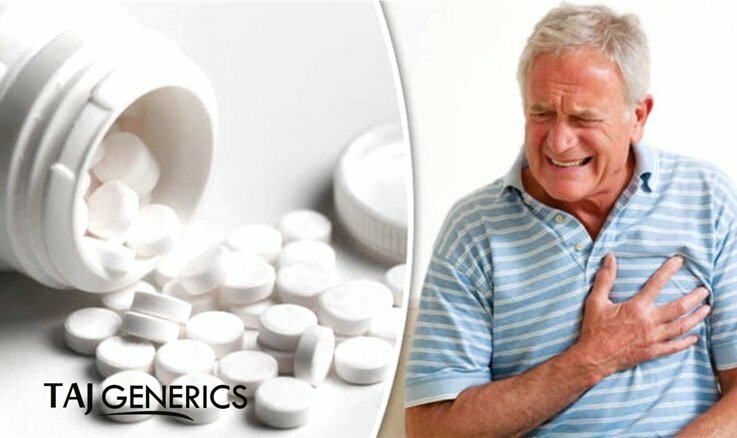 Acute sensitivity to aspirin is also seen in a small percentage of the general population without asthma — particularly people with ulcers and other bleeding conditions. Always consult your doctor before using any medication, and do not apply aspirin externally if you are allergic to taking it internally.